In the pretty South Devon village of South pool, near Salcombe, a cluster of listed buildings surround the ‘ square’ – a collection of cottages of varied construction; some stone, some rubble and cob, some thatched and some slated. With the majority in the main being built in the mid- to late 18th Century. In the reasons for these buildings being listed – in the early 1990s – a phrase is seen to repeat: “internal inspection not available”. Thus it becomes apparent that the main purpose for listing these houses is not because they hide fine gesso plasterworks, Adam fireplaces or even, conversely, early MFI kitchens; but because of their amassed contribution to the view, to the ‘ chocolate box’ streetscape. Obviously, streetscape is the term given to the collective aesthetic of all buildings, footpaths, gardens and landscaping along a street. The streetscape is the visual identity of a community and plays a significant part in how we view ourselves in our personal space, and can seriously, positively or negatively, impact on neighbourhood behaviours and attitudes. Whether diverse in age, shape or style, houses combine to create a community identity. At the same time, a development that is not sympathetic to the existing streetscape can significantly detract from the character of the locality. And when it comes to ensuring variety in housing facades, insofar as doors and windows are concerned; and whether in terms of design or colour; Eurocell is keen to make its contribution.It is an active partner with housebuilders seeking to deliver a quality aesthetic or in helping them convince planning authorities in sensitive locations that PVC-U is not the devil’ s own building material. A cracking example of this is Bloor Homes’s Woolston Fields development in Loddiswell, itself around 10 miles north of South Pool mentioned above. 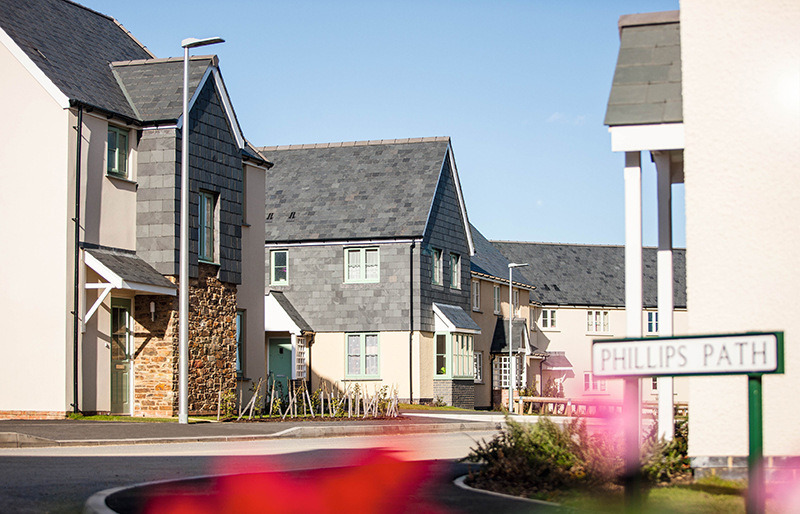 Proposing three different colours of Eurologik 70 helped Bloor Homes successfully address the concerns of South Hams District Council’ s (SHDC) planning department and provide an attractively varied external appearance at at the development. 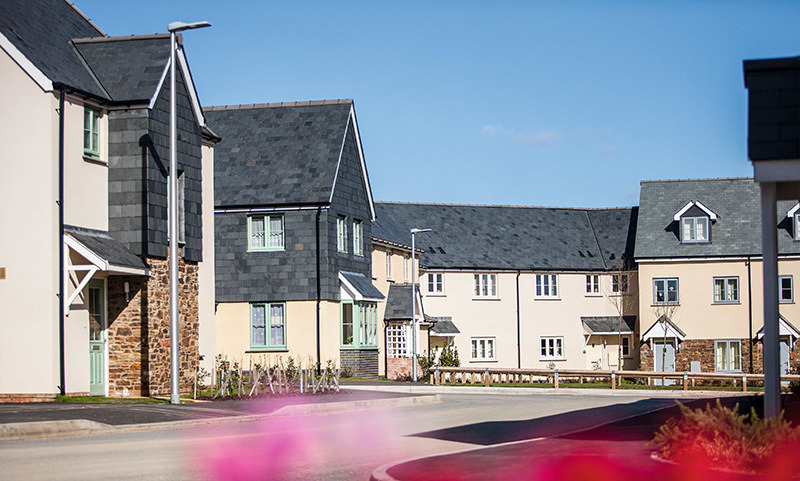 Ideally suited for new build or replacement windows in sensitive areas such as the South Hams, Eurologik provides clean sight lines due to its unobtrusive gasket line and slim profile, while its 70mm front-to-back dimension enables timber frames to be replaced seamlessly. The three colours selected – Chartwell Green, Cream White, and Moondust Grey –were from the 25+ options available in the Eurocell bespoke foil range and complement the heritage style appropriate to the area, while the windows themselves were fitted with sculpted ovolo beads and Georgian bars that suited the Country Cottage design. 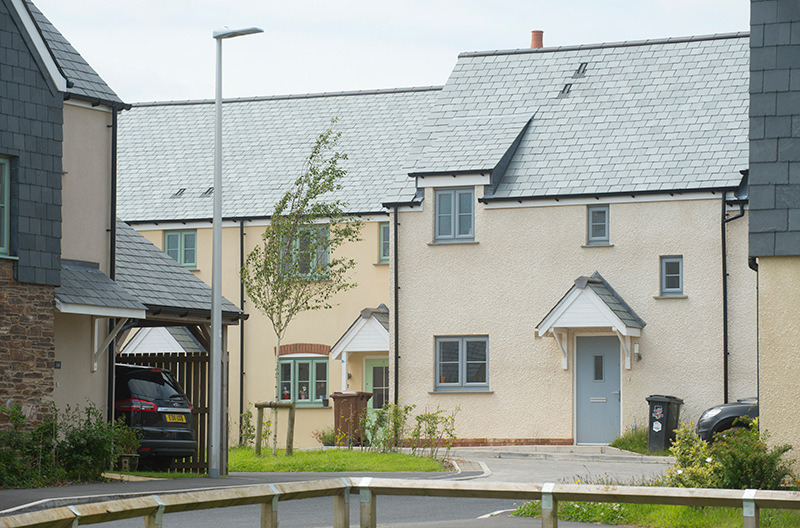 The result is a small, contemporary housing estate that meets current needs, delivers superb thermal performance and sits well in the rolling hills of the great British countryside. And while many of us may dream – post-lottery win – of returning to a thatched cottage by a stream after a long lazy day picnicking or at the beach; the reality of our dwellings is likely to be much more modern. Yet – as the partnership between Bloor and Eurocell in Loddiswell– demonstrates, the requirements of energy efficiency, volume house building and streetscape can be happily married in a way that befits the heritage of the future.